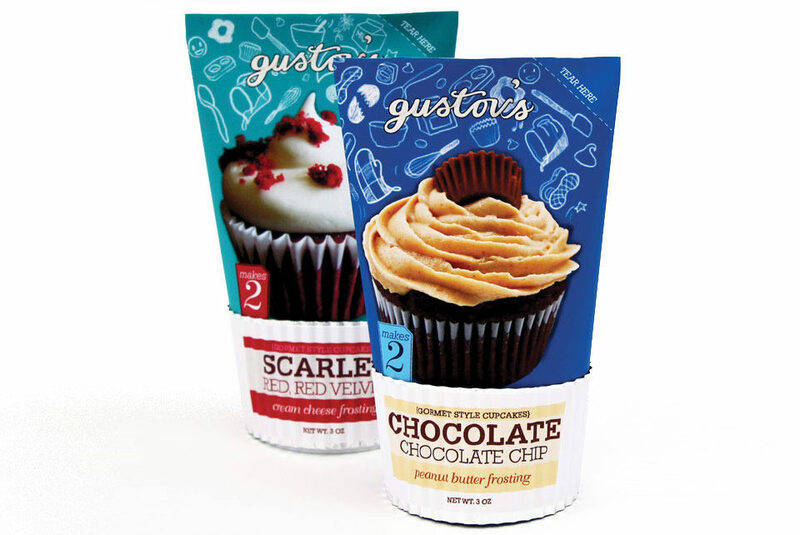 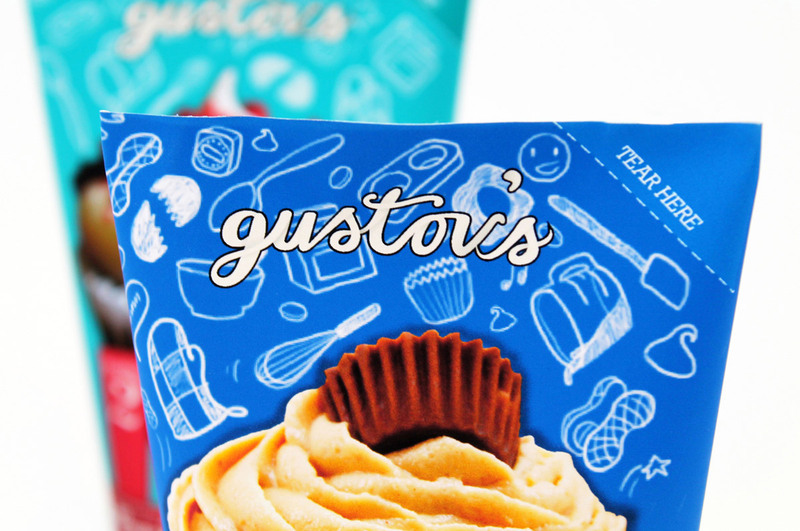 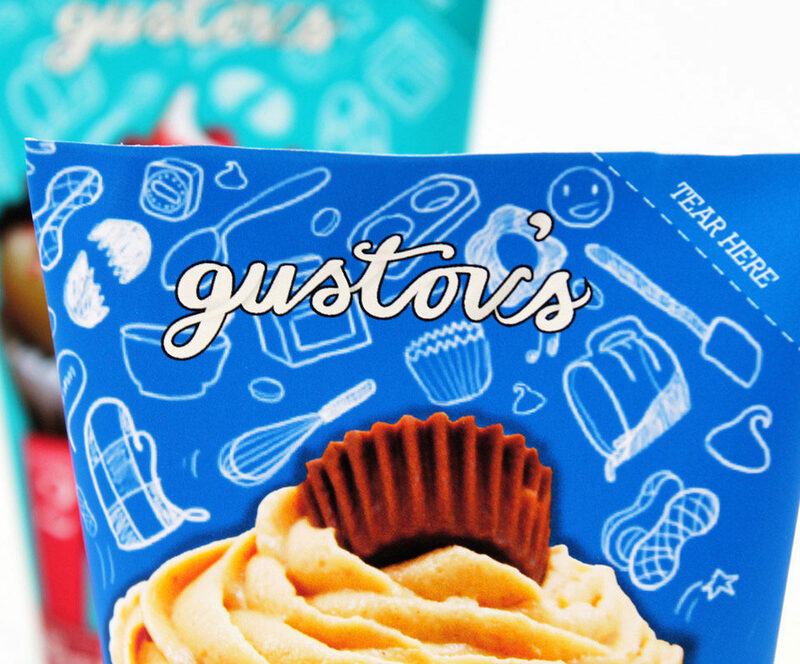 The goal of Gustov’s Cupcakes was to package a product that usually costs 99 cents and make it appear to be worth much more. 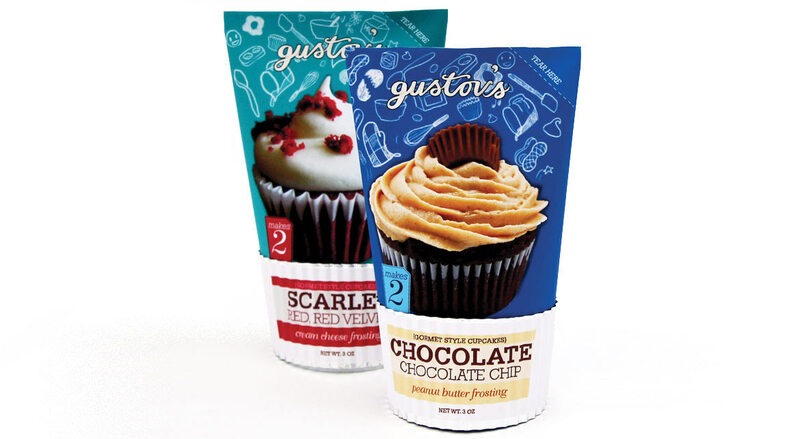 Gustov’s cupcake mix makes just two cupcakes which is perfect for those who love baking but do not want to make an entire batch. 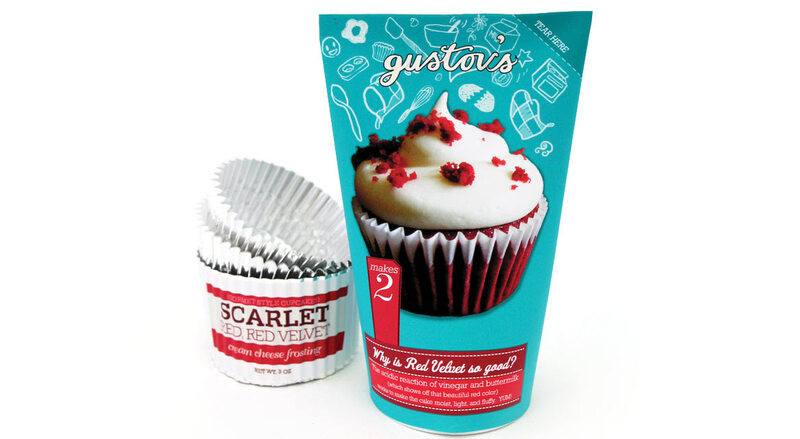 The packaging also includes a small container of icing and aluminum cupcake trays. 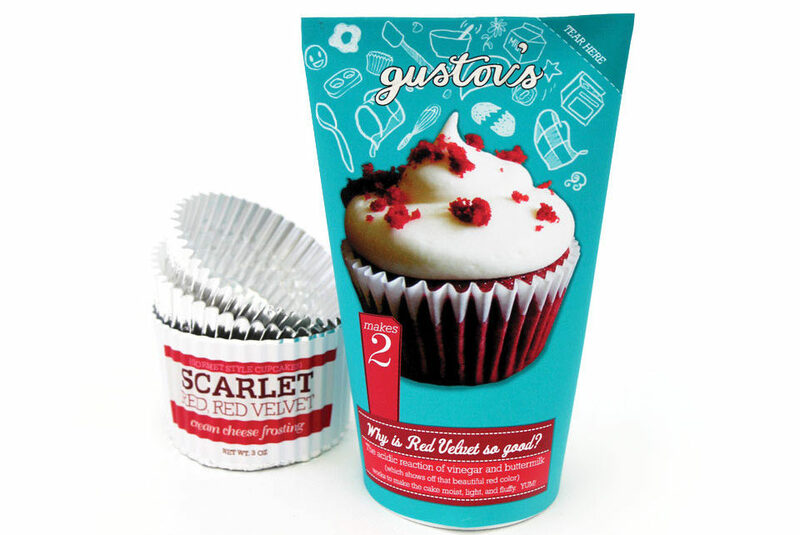 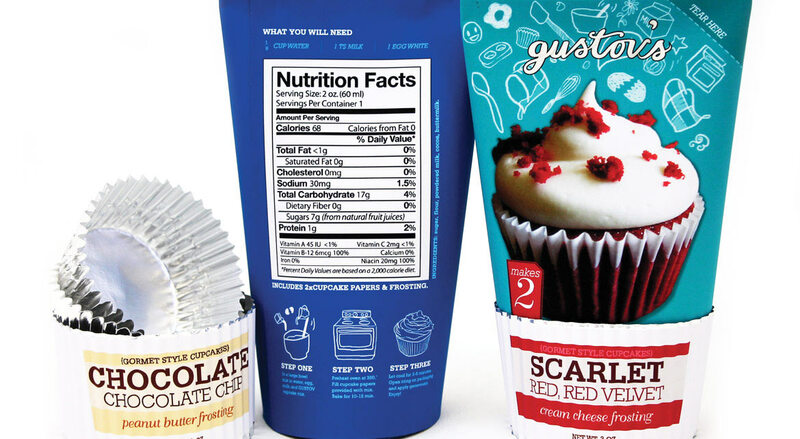 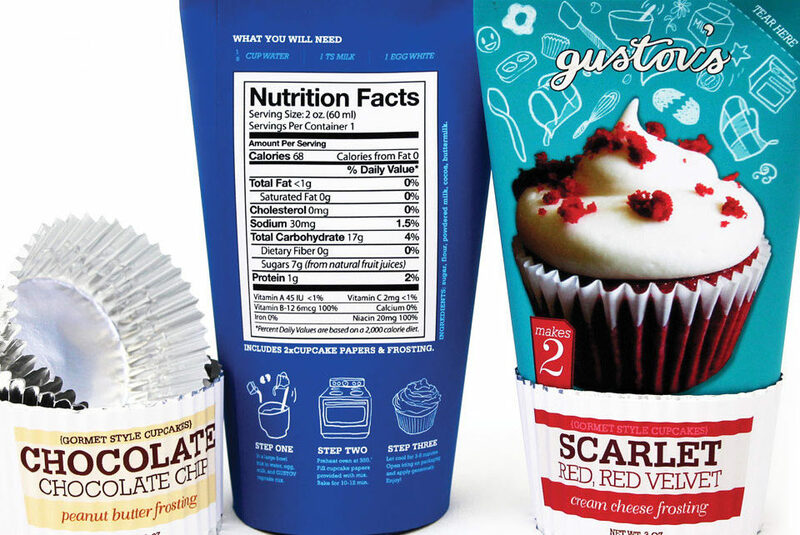 Packaging Pieces Included: Chocolate Chocolate Chip (Makes 2) & Scarlet Red Velvet (Makes 2).